Becky Lynch has promised to defend the Raw and Smackdown titles on both shows! The WWE is in the midst of The Superstar Shakeup and although it has yielded a lot of interesting switches throughout the last couple of days, it has also left quite a few fans in confusion as well. One of the reasons for that is due to the fact that Becky Lynch is currently both The Raw and SmackDown Live women's champion, which begs the question of when and how she will defend both titles. While some might see this as a minor plot point, especially with Lynch not even a month into her reign as champion, WWE has made some weird booking decisions in the past and could have again when it comes to double champions. Fortunately for The WWE Universe, the company decided against doing that this time. In the past, WWE has forced double champions to either relinquish one of their belts outright or have them lose it shortly after winning it. Interestingly enough, Becky Lynch walked down the ramp of Smackdown Live to tell The WWE Universe that she would show up wherever she wants and defend the titles against whoever she wants. If nothing else, this means that at least for now, Becky Lynch will be acting as both The Smackdown Live and Raw Women's title and will be defending the title on both brands. It also means that Lynch will likely be apart of Smackdown Live when they move to Fox Sports in October, which will be a huge plus for the company. Becky Lynch is the hottest tSuperstar in WWE right now and the company would be making a huge mistake by limiting her to only one brand. Of course, this likely means that she will be more prone to injury as time goes on, but it will also be a huge plus for Smackdown Live, who still lacks a stable women's division. In fact, not even the addition of Bayley, Ember Moon and Kairi Saine in The Superstar shakeup seems to be enough to rebuild the SmackDown Live women's roster just yet. Maybe that will change once WWE gets the gears turning again storyline wise, but for now, it looks very limited, which means both brands need the man. 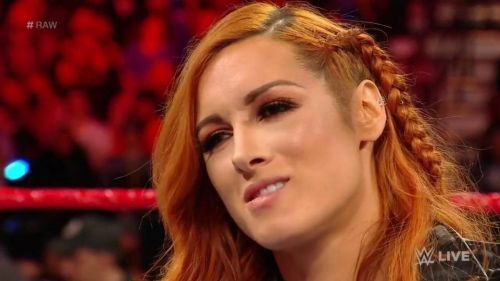 In all honesty, its hard to know what is exactly next for Becky Lynch. Sure, she will take on Lacey Evans for the titles at a later date, but that dosen't seem like something that is going to last as anything more than a stop gap. With that being said and the title picture now wide open for both brands, its going to be interesting to see who comes out of the wordwork next.